Yeah – anyone can claim to be from the Old School (and thus glory in the fabulous honors and rewards thereof), but can they prove it? 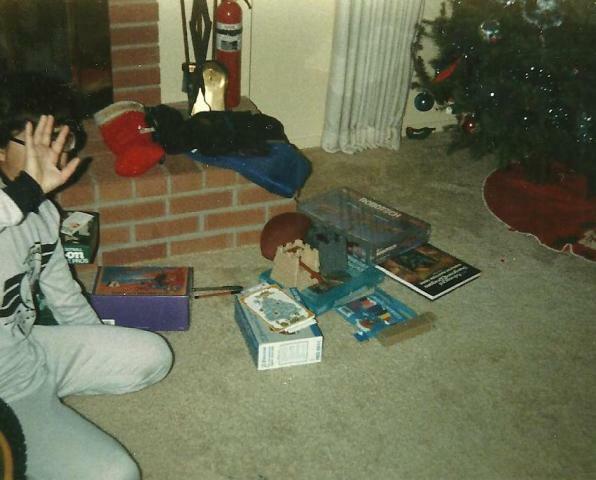 I was at the parents’ house last night looking through old photos and found a few of me getting my old D-n-D expert set and a couple AD-n-D books. You’ll also notice a Crossbows and Catapults add-on and Robotech model in this last one. Don’t know why I’m doing the paparazzi move in the photo though. And though I no longer have the box for the Expert set, I still have the expert books and those AD-n-D books to this day. Actually – I have that Crossbows and Catapults stashed somewhere as well. The Robotech model put up a good fight, but was eventually lost. No, really, nice glasses, nerd. ONE-OF-US! 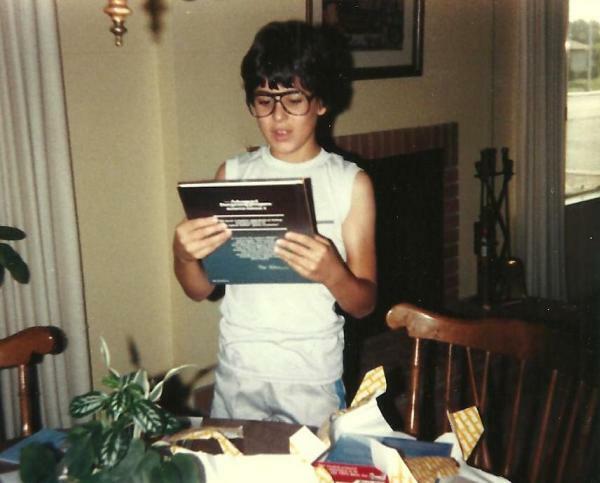 Yeah – can you imagine that kid grew up to be a nerd? Go figure! That first picture is awesome. Something about pushing monopoly aside and the way you are standing… it begs to be photoshopped into an Elf or Halfling opening a chest and pulling out the “magic box”. Great share. I was much, much older before my parents got me enough to give me gifts that I wanted without their using the but this is the limit on what is acceptable for a normal gift filter! Awesome. My family never bought me any gaming stuff. I did get the Greyhawk boxed set from a friend once. I had those same glasses. And the same haircut. 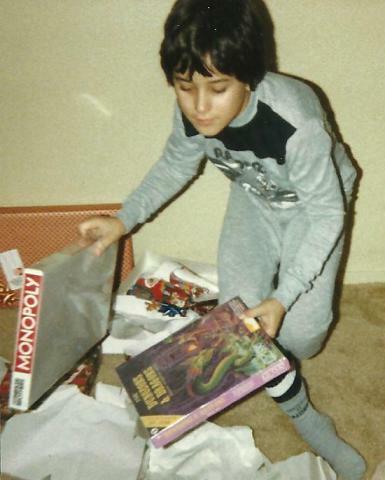 It's like there was a 1980's geek kid kit or something. Yeah – it was called “your mom chooses your glasses and haircut”.